New Arrivals to Entice Your New Year! It’s a new year and what better way to improve your sales than to amp up on the design and interior of your jewelry shop. And to help you with this, NileCorp introduces you some of their new products including new Linen Doll Displays, Shoes Ring Displays, T-Bar Displays and Bust Displays. Create a whole new look for your jewelry shop and draw more customers to buy your collection. This mini shoes ring display possessed understated elegance perfect which is great for jewelry store and home decor. It is made of solid polyresin and is perfect for displaying your newest jewelry collection. With its monochromatic design, this Mini Shoe Ring Display is perfect for displaying your silver ring collection and works perfectly with its contrast. Made of quality solid polyresin, this shoe ring is sure to last for a long time. This linen doll display is perfect for displaying your new collection of necklace, earrings and bracelet. Featuring an elegant design, this fashionable linen doll display is a great piece to add on your jewelry store. Looking for a wonderful T-Bar display to make your new jewelry bracelets stand out. This fashionable bracelet T-bar display will surely do the work. Designed with monochromatic color schemes and vintage patterns, this will surely make your new jewelry bracelets stand out from your collection. Perfect to display new necklaces on your collection, this fabric covered mini bust display possessed a simple yet elegant design that will work perfectly on the theme of your jewelry store. It’s durable and is designed so that you can take it to tradeshows and events. It’s also the perfect necklace display where you can place your most outrageous pieces of jewelry. It’s the New Year and what better way to boost the sales of your jewelry shop than to change its jewelry displays and theme. And one way to do this is by changing the necklace display you have in your jewelry shop. To help you with this, we at NileCorp.com, decided to introduce to you several of our new necklace display. This frosted color busts displays are perfect for displaying new set of jewelries especially with their various colors that can easily attract your customers’ eyes. They work well with gold necklaces and gold earrings. Another frosted mannequin bust that brings sophistication to your display. Featuring a half face and bust, this necklace display is where you can display your silver jewelry. It can be the main display in the center of your collection and let it stand out. Necklace Display, 9 1/2" x 6 3/8" x 18 1/2"
Want to stick with the classic necklace display then this velvet display is what’s perfect for your new theme. This velvet necklace display has a sophisticated design that will go well with any jewelry you have in your inventory that you want to sell. If you want your jewelry shop to have a vintage style then I suggest this Vintage Polystyrene Display that possessed the natural design of those antique necklace display. It goes well with gold necklaces and earrings. This Fabric Covered Mini Mannequin possessed a vintage look that will look perfect with the bracelets, necklaces and earrings in your inventory. With its monochromatic edge, it simply highlights the color of the jewelry and the jewelry stones in it. To look for more necklace displays, you can visit NileCorp.com. If there is one common mistake that small jewelry retailers and resellers do is that most of them pay little attention to the way they package their products. Aside from jewelry display, packaging says a lot about one’s business. Just think of Tiffany and Co., their packaging box and its color even have a patent because their packaging itself boasts of its brand. Another thing that makes packaging important is it attracts potential customers who see it from your previous buyers. Jewelry pouches are the usual packaging most of us encounter. And today’s article will mainly focus on tips finding the right jewelry pouches you can use for packaging your jewelry products. 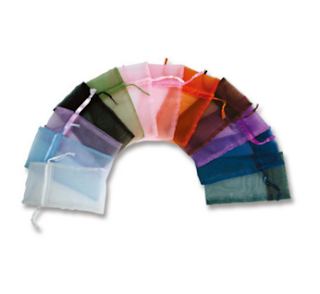 These pouches are made from thin and stiff fabric of silk or yarn. It is usually found in wedding dresses and nightgowns. It simple and elegant, and with it's see-through look, they are ideal for presenting jewelry that are too pretty hide. It comes in various colors and designs that you can pick from. 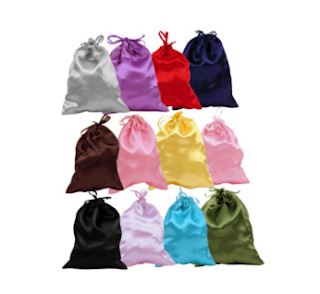 Velvet pouches are beautiful and elegant, and are usually with designed with drawstrings. They are more sturdy than sheer organza, and are great for holding heavier jewelries like watches, or necklaces, bracelets and earrings adorned with gemstones or pearls. 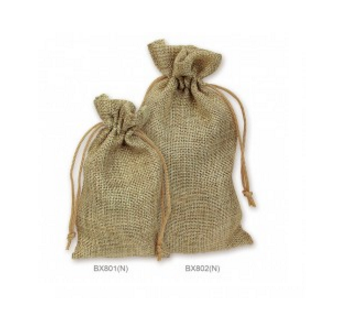 These pouches are made from fibers of the flax plant, which you can usually found in antique embroideries. It has this classic look, and is great for packaging bridal jewelries, and yes, even your proposal ring. 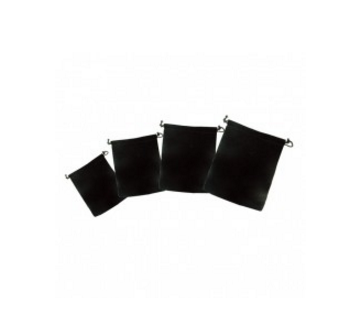 Satin pouches gives a rich and luxurious feel to anyone. It comes in many designs and features that possessed the same elegance that velvet pouches have. It also has a smooth surface and has a metallic sheen that gives off it’s luxurious look.